https://s3-ca-central-1.amazonaws.com/media.ogdolls/20181128163055/BD37283_Cute_As_Pie_Kitchen_Playset-all-components.png Category: House and Home. This set has all the ingredients for great pretend cooking! Mixing and baking…what are you making? Pretending to mix and bake is a piece of cake with the Our Generation Cute as Pie Kitchen Accessory Set for 18-inch dolls! Because we are an amazing generation. We’re raising our hands high to be the volunteer in our cake decorating class and raising funds to help the local animal shelter. 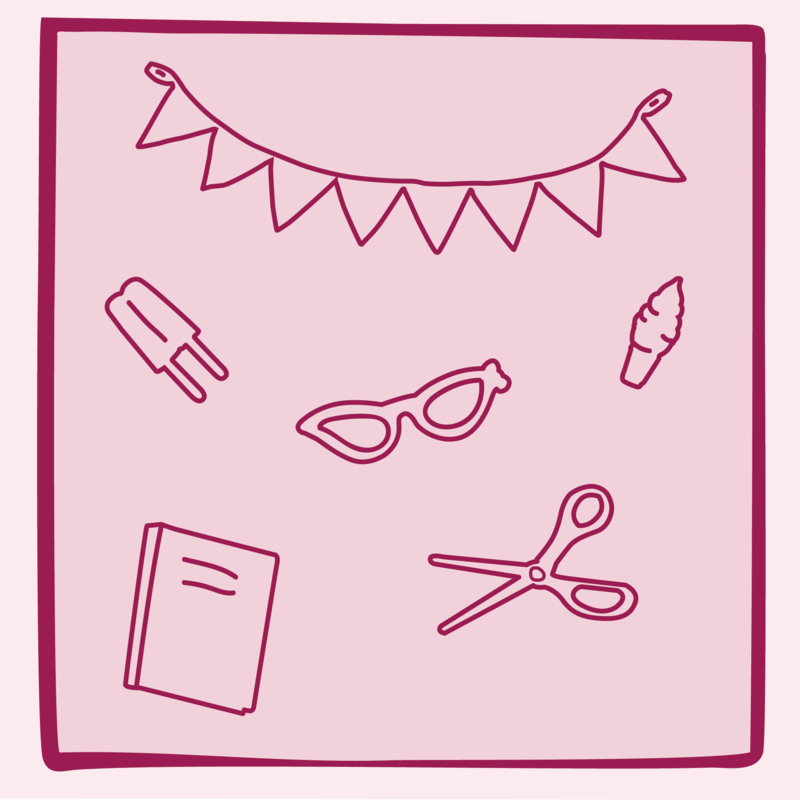 Yet somehow we still find time to create our own yummy recipes, dash through sprinklers on a hot day, and even come in first in the potato sack race. This is our time. This is our story. The secret ingredient is imagination! 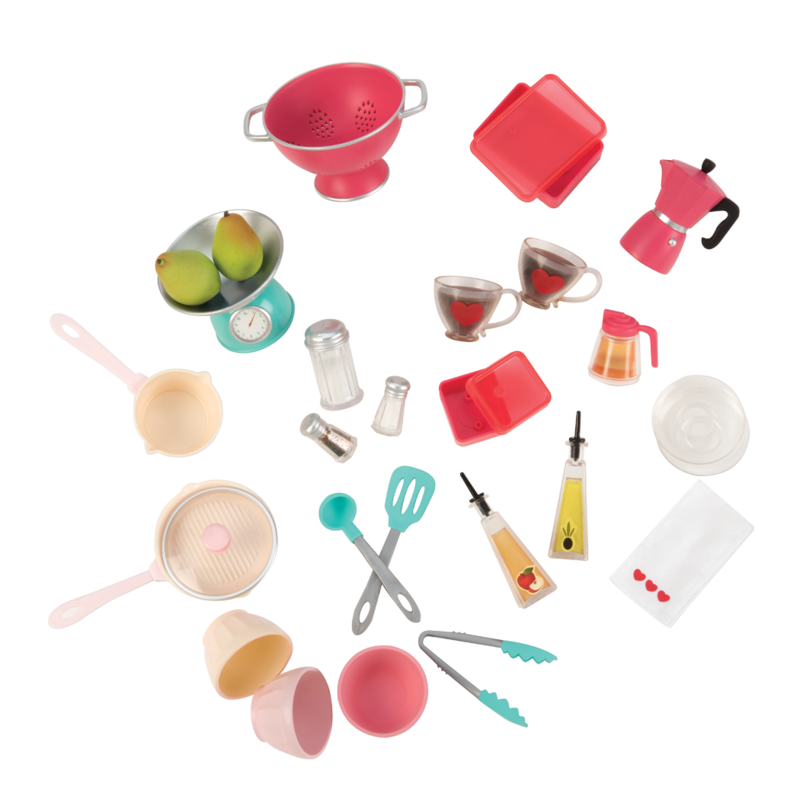 This colorful kitchen set has fun tools to help your dolls cook, bake, and entertain. Start with a nice cup of java from the stovetop espresso maker, with two cups so your doll can invite a friend! Grill with the frying pans, spatulas, and tongs. Measure quantities with the scale, strain gourmet creations with the colander, and season to your taste with the salt and pepper, sugar, oil, vinegar, and syrup. The real thing cooking up in this kitchen set is your imagination! 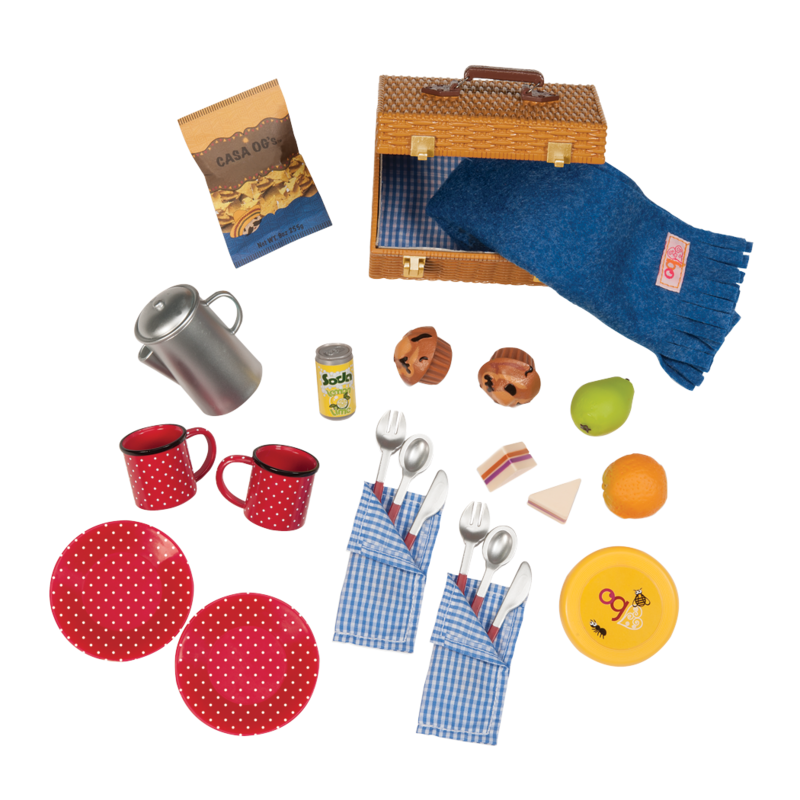 This accessory set is a perfect addition to the Our Generation Gourmet Kitchen, or any of the other items from the OG House and Home Collection. See for yourself why this set is Cute as Pie! In the Our Generation world of imagination and play, determination and kindness rule the day! 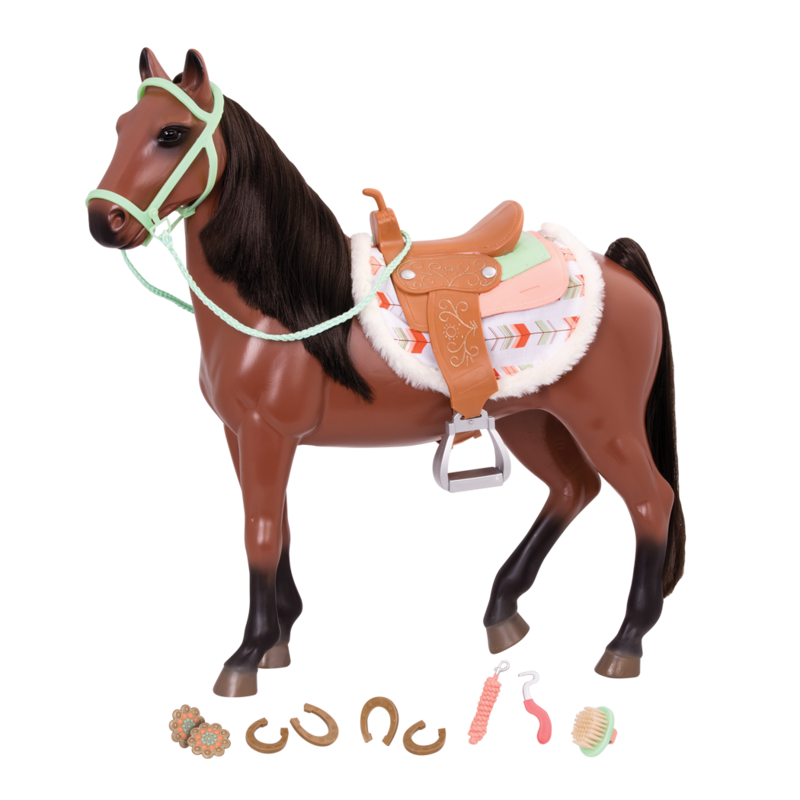 Discover all the dolls, outfits, and accessories and create your own world of fun and adventure! 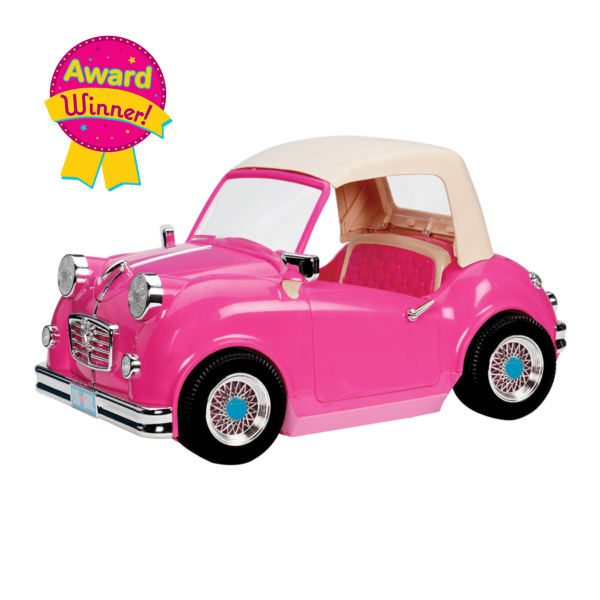 Have you met Sydney Lee, the doll in the photos of the Cute As Pie Playset? She loves ballet, cooking, and lots of other great hobbies! 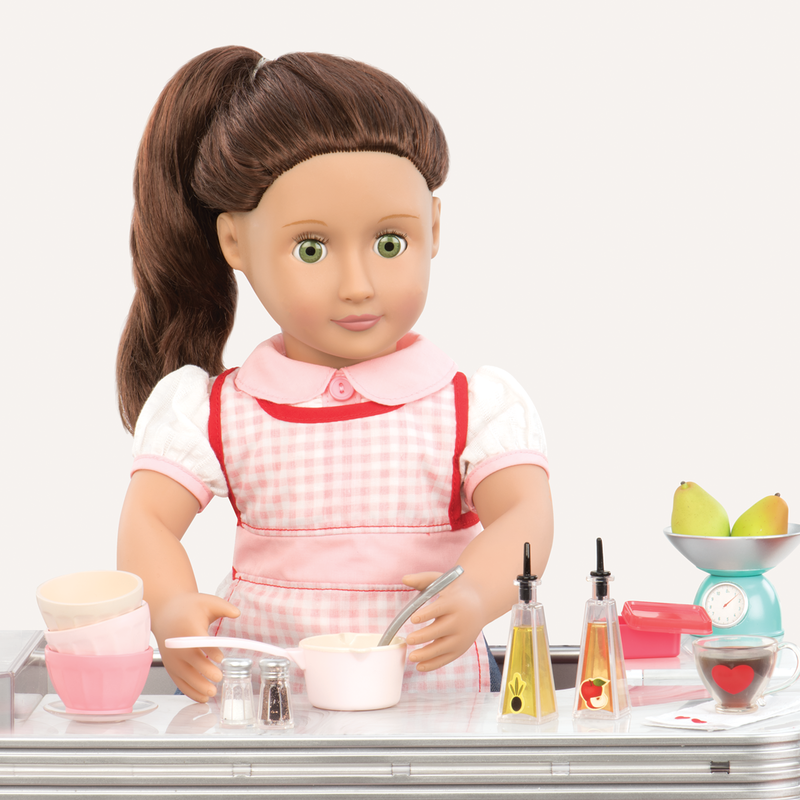 Once you have all the cooking and baking accessories in the Cute As Pie Playset, your dolls might like somewhere to cook! Check out the Gourmet Kitchen Set featuring a stove, appliances, and refrigerator, as well as all kinds of dollhouse miniature kitchen and food items for your 18-inch dolls! It’s available in three colors! Once you have cooked a feast you’re your dolls, serve it in style with the Table for Two Furniture Set, a beautiful modern table and chairs set with place settings for two of your 18-inch dolls! Includes pots, pans, utensils, scale, espresso maker, food, and more!